When SunTrust Park in Atlanta debuts tonight with an exhibition game against the Yankees, it will be the first new ballpark built in the Major Leagues since 2012. But it will be the 24th new ballpark built since 1989, as the era of retro ballparks and modernization continues unabated. Here is a look at all 30 Major League parks in use today, from oldest to newest. 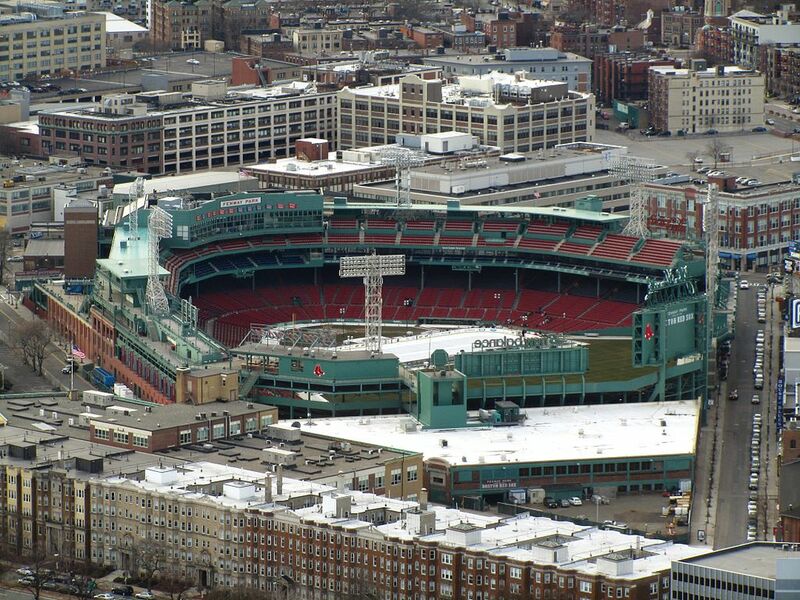 Fenway Park (1912) – Famous for its 37-foot-high Green Monster left-field wall and other idiosyncratic dimensions, Fenway Park is the oldest and one of the smallest ballparks currently in use in the Major Leagues. Designed by James McLaughlin, Fenway opened the same week the Titanic sunk in 1912 and underwent a major renovation in 1934, including the insertion of a hand-operated scoreboard in the base of the left-field wall. The current Red Sox ownership group, led by John Henry, Tom Werner and Larry Lucchino, took over in 2001 and made a series of additions and renovations throughout the park, most notably the addition of “Monster Seats” atop the left-field wall. The changes increased the overall seating capacity by nearly 4,000 seats to its current total of 37,731. 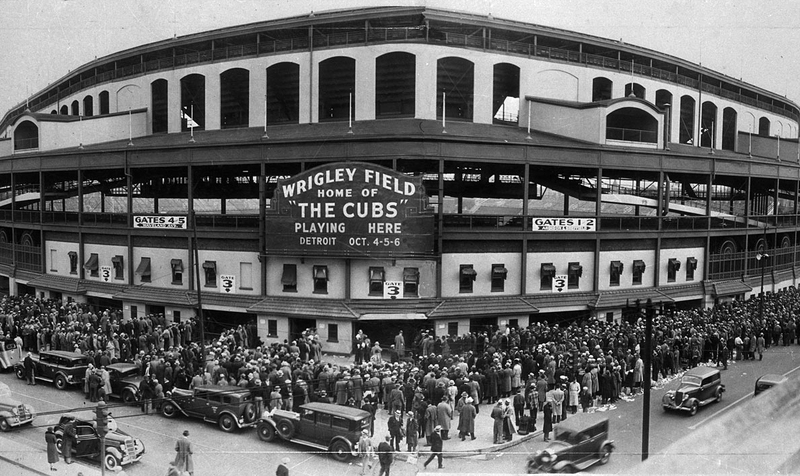 Wrigley Field (1914) – The oldest ballpark in the National League, Wrigley Field was originally named Weeghman Park and Cubs Park before gum manufacturer William Wrigley re-named it after his company in 1927. Originally designed by architect Zachary Taylor Davis, Wrigley Field underwent more than a name change in 1927, as the grandstand was moved west – on rollers, no less! – and the upper deck was added in a major renovation. Wrigley’s most iconic feature, the ivy growing on the outfield walls, wasn’t added until 1934. But perhaps the most coveted feature in Wrigley Field history will be added in the next two weeks: its first-ever World Series championship flag. Dodger Stadium (1962) – One of three ballparks to remain from the Major League’s West Coast expansion in the late 1950s and ‘60s, Dodger Stadium remains among the jewels in baseball, recently hosting the finals of the World Baseball Classic. 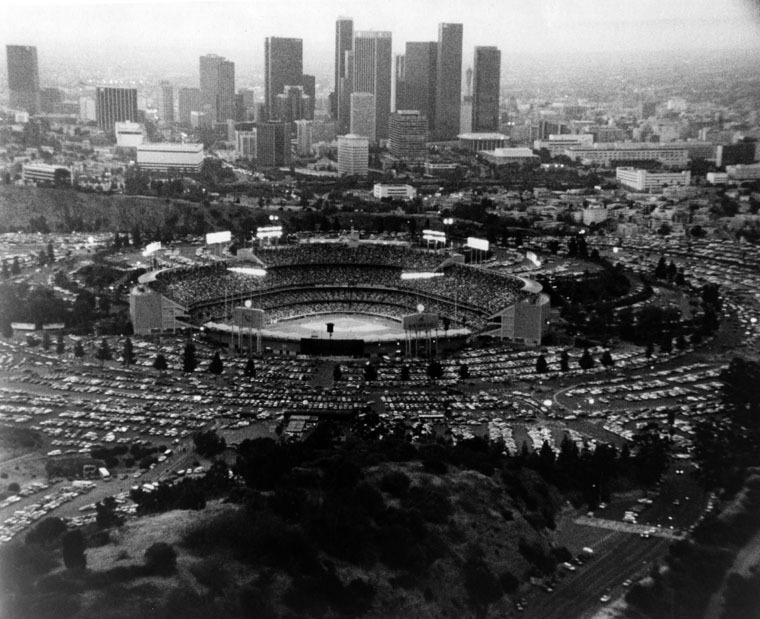 Designed by Col. Emil Prager, Dodger Stadium was built in Chavez Ravine, overlooking the city of Los Angeles. It is the only ballpark in the Major Leagues to have not increased its seating capacity over its lifetime, holding roughly 56,000. Because of the location of its construction, a school was left standing on the site and was buried. It is currently located under a parking area to the west of the ballpark. 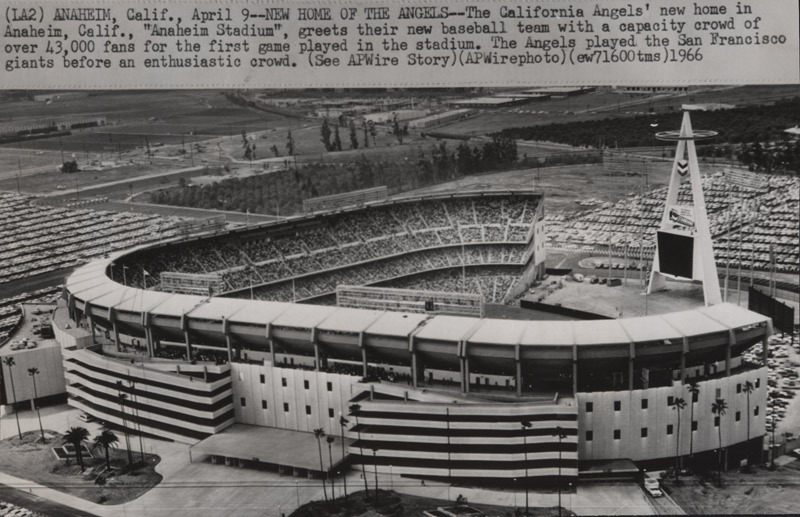 Angel Stadium of Anaheim (1966) – Originally known as Anaheim Stadium, the facility was built as a baseball-only ballpark in the mid-1960s, but became a multi-sport facility in 1980, when the Rams of the NFL began a 14-year run at “The Big A.” Designed by Noble W. Herzberg, the ballpark was originally constructed for the Angels of the American League, who had been playing at Dodger Stadium since its inception in 1962. 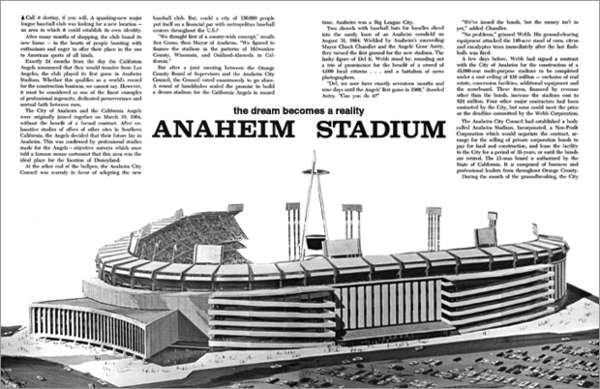 The inclusion of the Rams in 1980 led to a 23,000-seat expansion effort. After the Rams left for St. Louis in 1996, Angel Stadium was renovated back to a baseball-only facility by its new owners, the Disney Co., featuring an elaborate rock formation and geysers beyond the outfield area. 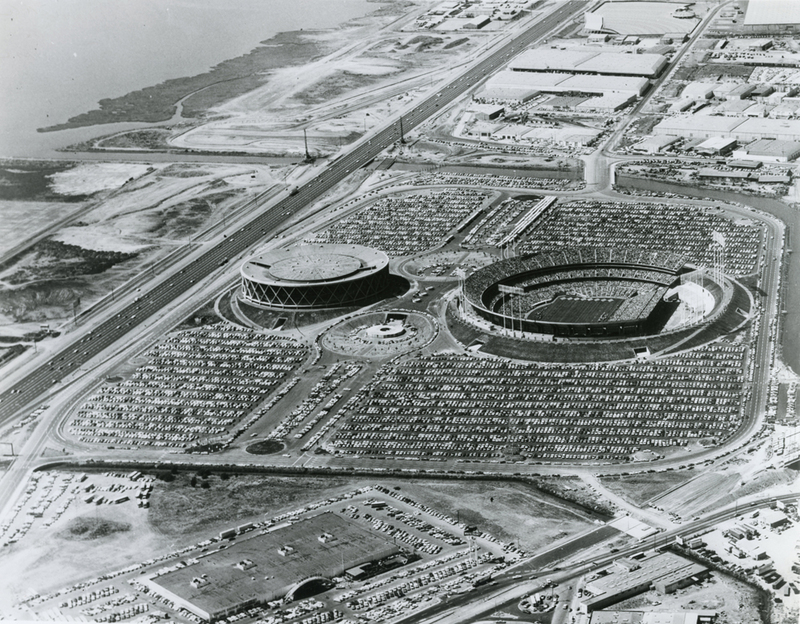 Oakland Coliseum (1966) – While the Raiders have come and gone, returned and now are leaving again, the A’s have been a mainstay at the Coliseum since 1968 in the facility originally designed by Skidmore, Owings & Merrill. Because of its dual purpose as a multi-sport stadium that was intended primarily as a football stadium, the Coliseum holds the distinction of containing the largest foul territory of any ballpark in the Major Leagues. Until the Raiders leave for Las Vegas in 2019, it remains the only facility in American sports currently to host a Major League and NFL team at the same time. Kauffman Stadium (1973) – Like Dodger Stadium in the National League, Kauffman Stadium holds the distinction of being a baseball-only facility built in an era of multi-sport ballparks across the country. Originally Royals Stadium, it was built alongside the existing Arrowhead Stadium, which hosts the Kansas City Chiefs of the NFL. 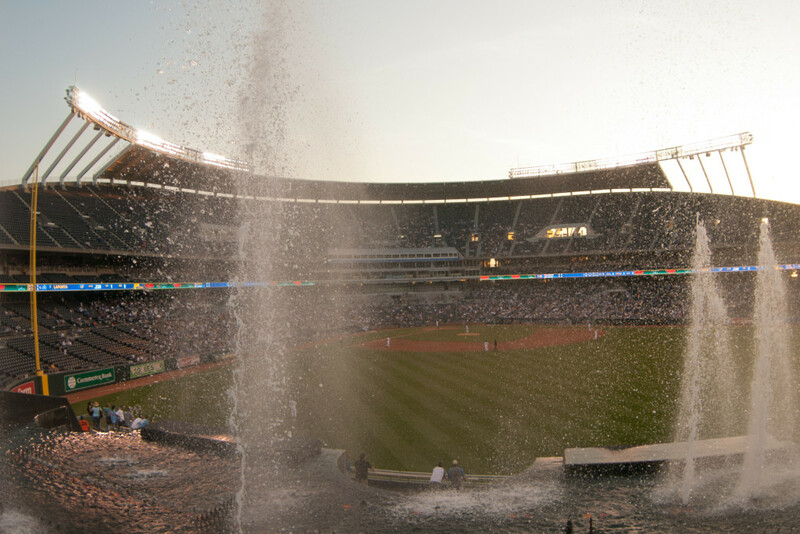 Kauffman Stadium is also best known for its distinctive waterfall display beyond the right-field fence. Although a baseball-only facility, the ballpark, designed by the firm of Kivett and Myers, betrays the look of many of the concrete, cookie-cutter stadiums that popped up throughout the late 1960s and ‘70s. Rogers Centre (1989) – Originally known as SkyDome, Rogers Centre ushered in the modern era of stadium construction and became the first facility in the Major Leagues to feature a retractable roof, which opens and closes via an intricate rail design. Designed by architect Rod Robbie, the facility is located at the base of the CN Tower, enhancing its futuristic look. Other than the paneled, retractable roof, Rogers Centre’s most famous feature is a hotel contained inside the ballpark, located beyond the outfield walls, including rooms that look out directly into the field of play. Tropicana Field (1990) – The dome, which didn’t host Major League Baseball until the expansion Devil Rays began play in 1998, has long been derided as one of the worst baseball facilities in the league. Tropicana Field is plagued by many irregularities, none more confounding than a series of catwalks over the playing field that occasionally come into play when batted balls get hung up in their apparatus. Guaranteed Rate Field (1991) – The replacement for Comiskey Park on Chicago’s south side and known for much of its history as U.S. Cellular Field, it had the misfortune of being designed by Populous the year before the firm broke through with the design of Baltimore’s Camden Yards, which set the standard for ballpark design for the next 25 years. Guaranteed Rate Field’s design lacked the charm of ballparks to follow and underwent a series of renovations in the 2000s to rectify issues that plagued the facility from its inception. Oriole Park at Camden Yards (1992) – Camden Yards broke the mold for ballpark design and ushered in the era of retro ballparks that combined modern amenities with the look and feel of vintage ballparks from the early 20th century. 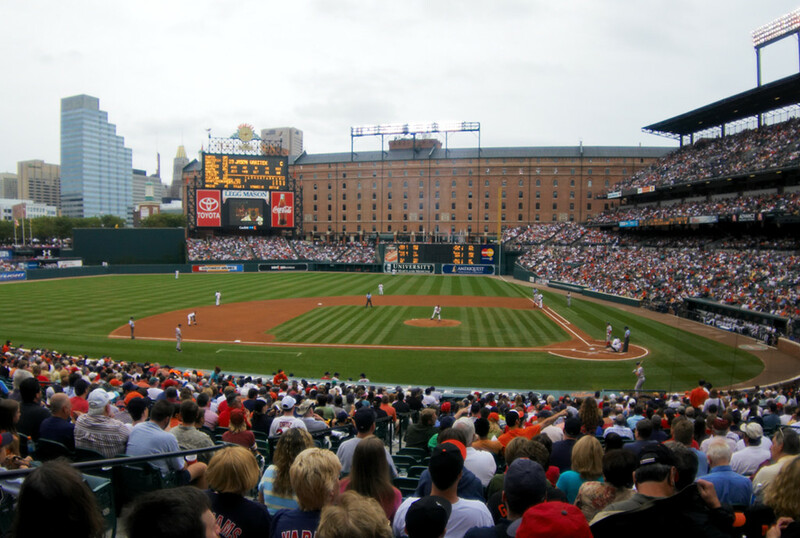 Designed by Populous and its main consultant Janet Marie Smith, the park helped revitalize Baltimore’s Inner Harbor area, with the ballpark nestling into a neighborhood and using an abandoned warehouse along the outfield perimeter as a key visual attraction. Its use of wrought iron, seats close to the field and low outfield walls helped conjure a nostalgic image of pre-WWII baseball, which added immensely to its appeal. Progressive Field (1994) – After decades of playing in Municipal Stadium, aka “The Mistake by the Lake,” the Indians moved into Jacobs Field and ushered in a new era of Indians baseball with one of the most popular new ballparks of the decade. Another brainchild of Populous, the park featured a mini-Green Monster in left field, varied outfield distances and fence heights and a distinctive set of vertical light towers, which preserved a view of the downtown skyline. 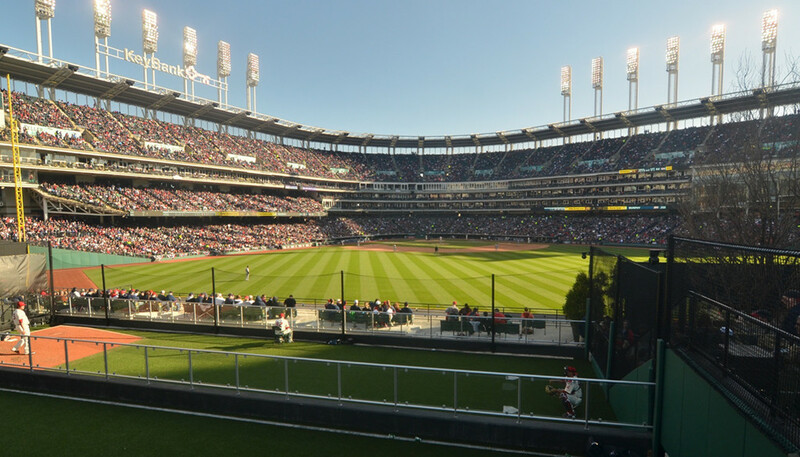 The new park changed the fortunes of the franchise, as the Indians, long a cellar-dweller in the American League Central, reached the World Series in two of the park’s first three full seasons. Coors Field (1995) – Another Populous MLB project was erected in Denver, producing another highly acclaimed retro ballpark for the expansion Colorado Rockies. While the initial design was more the same intimate setting that were hallmarks of Camden Yards and the Ballpark in Arlington, the initial season at Mile High Stadium in 1993, which attracted 4.5 million fans, caused Populous to add an upper deck, pushing capacity to over 50,000, the largest of Populous’s retro ballpark’s. 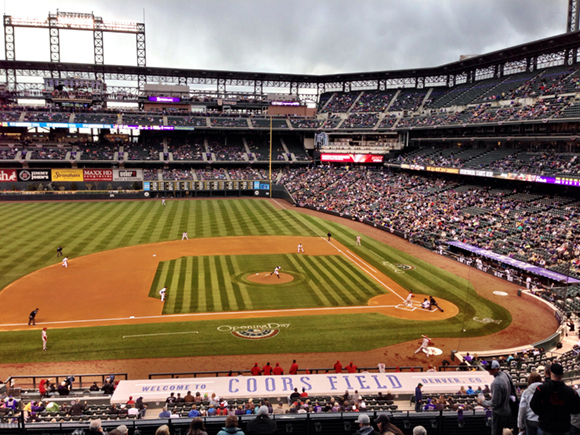 The first ballpark to be installed with an underground heating system, Coors Field proved an archeologist’s dream, as several intact dinosaur fossils were unearthed during construction. Because of the high altitude and thinner air in Denver, the outfield fences at Coors are the deepest in the majors, in an attempt to keep the ball from flying out of the park for home runs. According to every pitcher who has ever played there, it didn’t work. Chase Field (1998) – Although not the first domed ballpark in the Majors, nor the first ballpark with a retractable roof, Chase Field made history by being the first domed ballpark with a retractable roof that also deployed a real grass surface. Originally Bank One Ballpark – affectionately known as “The BOB,” Chase Field began the second wave of retractable roof ballparks in the United States, following the critical success of Toronto’s SkyDome a decade earlier. Designed by Ellerbe Becket, Chase Field was fan friendly in a way only a ballpark in Phoenix could be, with a large swimming pool area erected past the right-field fence. Chase Field was also the first of just two new ballparks to bring back the dirt strip between the pitcher’s mound and home plate, a nod to the layout of infields in the pre-WWII era. Safeco Field (1999) – Known as “The House That Griffey Built,” Safeco opened in 1999, but was born in 1995, when the Mariners made the postseason for the first time in franchise history and beat the Yankees in a thrilling Division Series. This gave the city much-needed momentum to pass a ballpark funding initiative leading to Safeco’s construction, replacing the aging and obsolete Kingdome. As opposed to the concrete tomb of the 1970s, Safeco had the feel of other retro parks that dotted the landscape in the 1990s, as designed by NBBJ. Among features like a manual scoreboard in left field, Safeco became known for the railway beyond the left-field stands. Trains routinely announce their passing behind the park with whistle blasts, which are common during games. Safeco also set a new standard for concessions, offering the widest variety of fare in baseball, from traditional hot dogs to sushi and pad Thai. 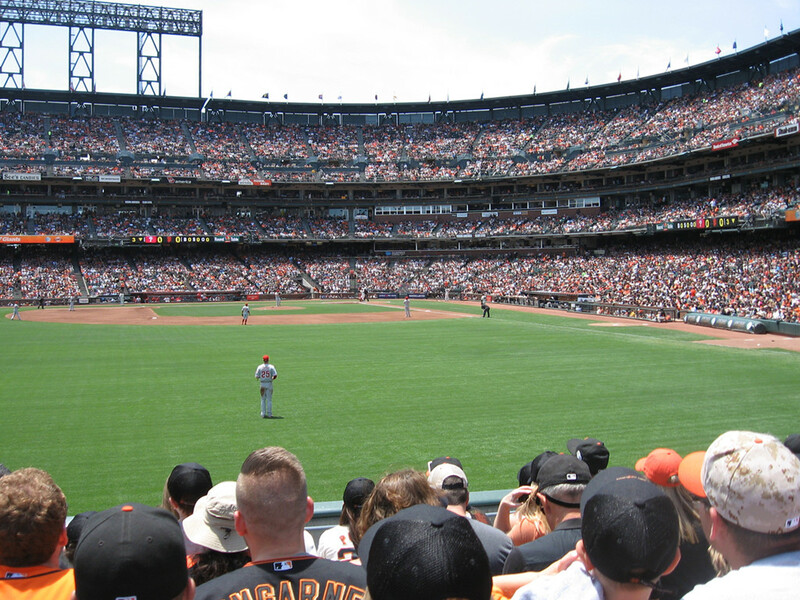 AT&T Park (2000) – For decades in San Francisco, there was no more iconic structure than Candlestick Park. But by the 1990s, especially after being damaged in the 1989 Loma Prieta “World Series” earthquake, the time had come for a new home for the Giants. Another of Populous’s ballpark designs, the park, originally named Pac Bell Park, has a unique configuration in right field, with a 24-foot wall (in honor of No. 24 Willie Mays) that angles steeply from the foul line out toward center, creating a treacherous area to cover for outfielders. Beyond the fence in right field is a shallow area of San Francisco Bay dubbed “McCovey’s Cove,” where fans in kayaks often patrol, waiting for home run balls to splash down. Minute Maid Park (2000) – It may have been one of the wonders of the world, but the Astrodome was not timeless, and by the late 1990s, the city of Houston began construction of a downtown ballpark similar to Chase Field, with a retractable roof and a grass field designed by Populous. 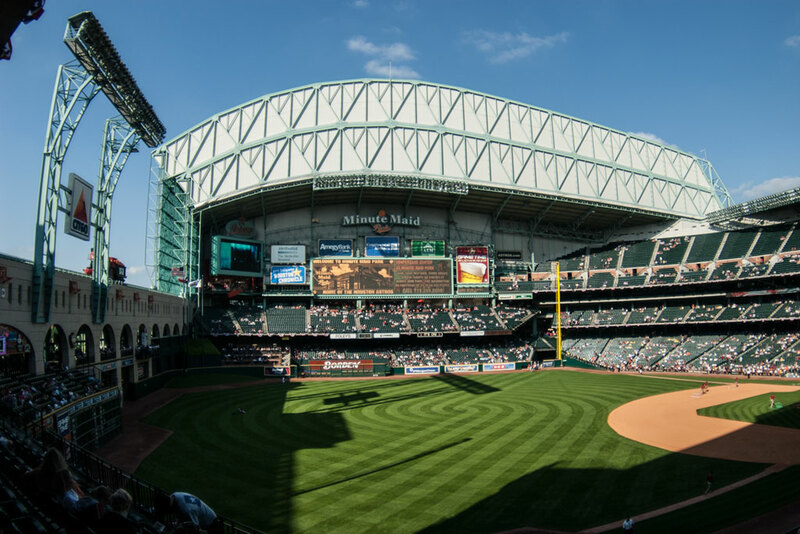 Originally Enron Field – the name was changed after the Enron bankruptcy scandal in 2001 – the park was distinctive for its decorative left-field construction, with a white façade similar to Yankee Stadium running across left field toward center. That left-field area also became famous for yielding home runs, as Minute Maid quickly earned a reputation as a hitters’ park. Comerica Park (2000) – The opposite of Minute Maid was built by Populous in Detroit. The successor to the iconic Tiger Stadium, Comerica quickly earned its reputation as a pitchers’ paradise. Except for center field, all the distances from home plate were deeper than any in the hitter-friendly Tiger Stadium. Tigers outfielder Bobby Higginson famously nicknamed the new ballpark “Comerica National Park” because of its vast outfield expanses. By 2003, the team heard the cries and commenced a redesign of the outfield areas, bringing in the left-field wall by 25 feet and moving the bullpens from right field to left, which allowed the right-field fences to be contracted and added roughly 1,000 seats, bringing Comerica’s capacity to just over 41,000. Comerica is unique in baseball as the southern-most facing park in baseball. 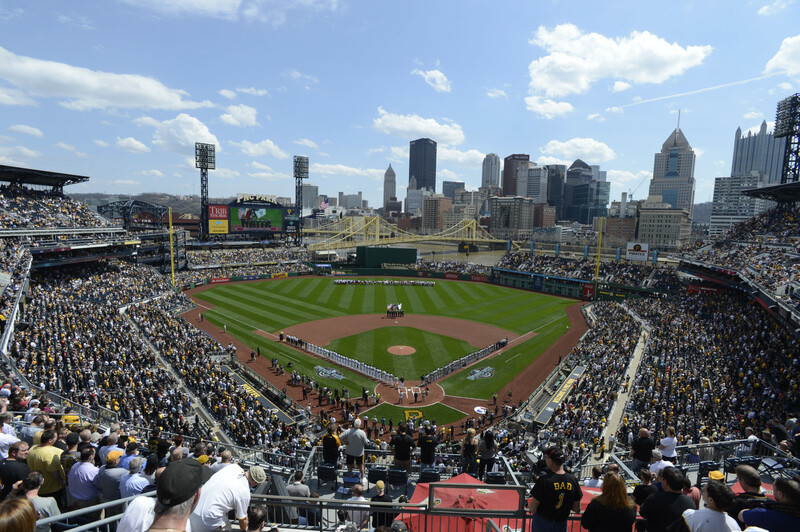 PNC Park (2001) – Opening to wide acclaim, the Populous-designed PNC Park is one of the most scenic in all of baseball. The upper deck area affords a panoramic view of downtown Pittsburgh, as well as the Roberto Clemente Bridge beyond left-center field. PNC Park was also the first to feature an out-of-town scoreboard providing full information, including score, inning, number of outs and baserunners. A product of its time, PNC Park was built in less than 24 months, the fastest ballpark construction in history, aided in the process by the use of computer technology. Miller Park (2001) – As more retractable-roof ballparks began to appear on the Major League scene, Miller Park became the first to feature a fan-shaped style, with its panels closing from the foul lines toward center. The new design allowed the roof to be closed in as little as 10 minutes, the fastest time of any of the retractable-roof ballpark in use at the time. The construction of Miller Park is sadly best remembered for a crane accident that killed three workers in 1999, causing a one-year delay in the project. Great American Ball Park (2003) – Populous continued its remaking of the Major League ballpark experience by designing the replacement for Riverfront Stadium in Cincinnati. This ballpark is probably best known for its more unique features, like a gap between the stands on the third-base side that allows sightlines into the park from the downtown area, and vice-versa, a view of the city from inside the park. There are also a pair of large smokestacks in center field that pay homage to the steamboats of the Ohio River in the 19th century. Citizens Bank Park (2004) – The new ballpark for the Phillies was built as part of a larger sports complex that also features Lincoln Financial Field for the Eagles and Wells Fargo Arena for the 76ers and Flyers. Designed by Populous, perhaps the most distinctive feature of CBP, other than its propensity to allow home runs, is its massive HD Daktronics video boards, which were installed in 2004 and ’05. The screen in left field measures 76 by 97 feet, making it the largest videoboard in the National League. Perhaps most notably, Citizens Bank Park would be the last new ballpark not designed by Populous. Petco Park (2004) – Although designed by retro experts Populous, Petco Park does not exactly fit the mold of other retro parks. Although its left-field façade backs up to the old Western Metal Supply Co. warehouse, a la Camden Yards’ right-field design, much of Petco breaks free of the retro tradition, eschewing red brick for its façade and keeping its concourses open on both sides, allowing views of the field on one side and the city (and Coronado Bay) on the other. Busch Stadium (2006) – If you attended a Cardinals game at St. Louis’ venerable Busch Stadium in 2005, you might have asked yourself, why do they need a new one? But a new Busch Stadium there would be in 2006, also designed by Populous. But unlike its predecessor, the new Busch would shake its cookie-cutter construction and open up the outfield to expansive views of the city, including the Arch. Nationals Park (2008) – Baseball returned to the nation’s capital in 2005 and after three seasons at old RFK Stadium, the new iteration of the Nationals opened its new park in the Southeast area of the city. Also designed by Populous, the ballpark is best known for its views of the U.S. Capitol and major monuments from the upper deck. A restaurant in the center-field area, the Red Porch, is another popular attraction. Citi Field (2009) – The Mets began play in New York in 1962 in response to the loss of the Dodgers and Giants to the West Coast, and when the time came to replace outdated Shea Stadium, the echoes of the past breathed life into the new ballpark. Designed by Populous, the design of Citi Field pays homage to New York’s rich baseball history in ways great and small. The outside façade of the ballpark is designed to mimic the look of Brooklyn’s Ebbets Field, while the seats inside the park are painted to replicate the look inside the Polo Grounds. Fans who enter the facility at the front entrance pass through the Jackie Robinson Rotunda. Mets history also made its way from Shea to Citi in the form of the giant flashing apple that appears after a Mets home run. 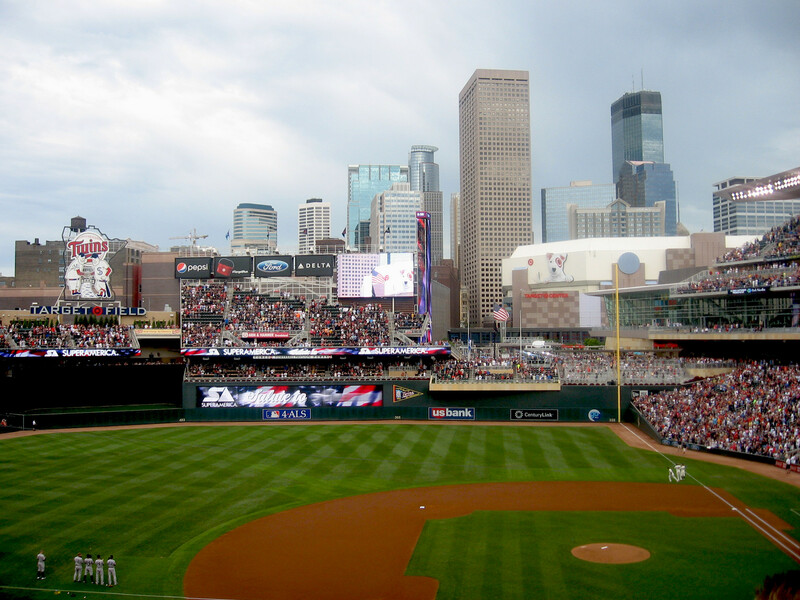 Target Field (2010) – After 28 seasons in the Metrodome, the Twins ventured back outside in Minneapolis in 2010, playing in their own baseball-specific ballpark for the first time in team history. Despite the weather conditions in Minneapolis that prompted the construction of the Metrodome in 1982, Target Field was not constructed with a retractable roof, although it does contain heated viewing areas. Target Field pays homage to Twins history via a large “Minnie and Paul” replica, with the pair shaking hands while alit by strobe lights when a Twins player hits a home run. Marlins Park (2012) – The last ballpark to be built before Atlanta’s SunTrust Park, Marlins Park was the sixth ballpark to feature a retractable roof – much to the delight of fans who dealt with oppressive heat and humidity at outdoor Sun Life Stadium – and is considered the “greenest” park in the Majors. The ballpark was designed to capture the feel of Miami and its previous parks, with an asymmetrical outfield fence and other homages to Sun Life Stadium and the Orange Bowl.